This is the list of the 8 levels of scientology that one can attain after becoming free of unwanted influences of life (a clear). There are only eight published levels though there are a further seven levels that may or may not exist. These levels (called Operating Thetan Levels) are a closely guarded secret of the Scientologists but they have appeared on the internet for a number of years. 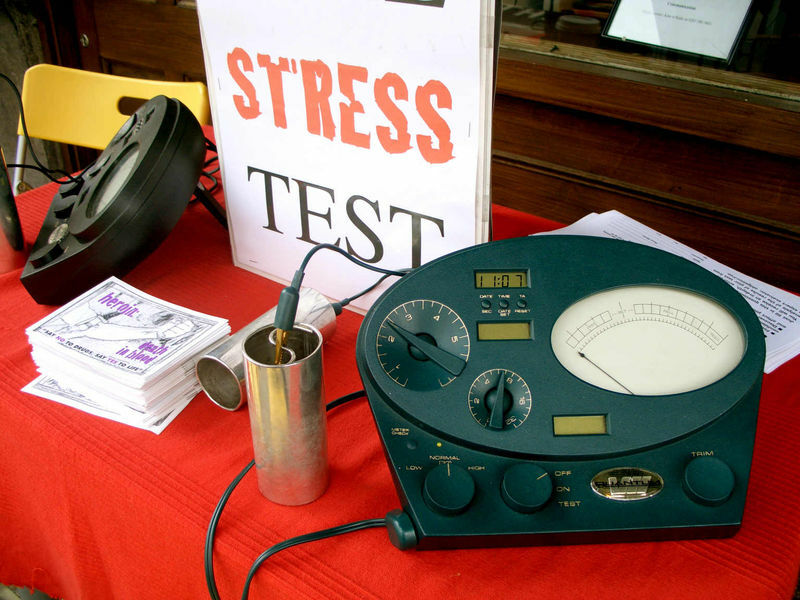 So, if you have the money (and the inclination) this is what Scientology has to offer you. Read all about Scientology with the bestselling Going Clear: Scientology, Hollywood, and the Prison of Belief at Amazon.com! OT II consists of hundreds of boring “implants” written in Hubbard’s hand like “to be or not to be”, followed by “spotting the light” that accompanied the “implants.” EP (End Phenomena; the final result of processing “therapy”) is rehabilitation of intention and ability to project intention. With an EP like that, it can’t fail! “A series of processes directed at whole track implant materials (GPMs) dealing with dichotomies and binary thinking. Available at Advanced Organizations and higher.” – Jonathon Barbera. The Clear learns about the catastrophic event that placed body thetans on Earth and deprived them of their operating abilities. The Clear is trained to audit the thetans inhabiting his or her own body regarding this incident. OT IV; the Operating Thetan drug rundown. New OT IV gets rid of the effects of taking drugs in past lifetimes for a few thousand dollars. You should really see this land in FLA; it is near Clearwater… “Mocking-up and unmocking implants from Clearing Course in order to prevent future implanting plus the handling and rehabilitation of past auditing. Product was supposed to be an OT Exterior. Replaced by New OT IV: handles the effects of drugs, medicine, and alcohol by addressing BTs stuck to/in drugs, medicine, and alcohol incidents. Audited by Class VIII auditors at Advanced Organizations and higher.” – Jonathon Barbera. The Clear audits his or her body thetans for drug-related problems. Read the gut-wrenching true story of Jenna Miscavige Hill’s life in Scientology in Beyond Belief: My Secret Life Inside Scientology and My Harrowing Escape at Amazon.com! OT V; getting rid of the Body Thetans! EP (End Phenomena) is cause over life. Should be cause over your debt; you’ll need it. 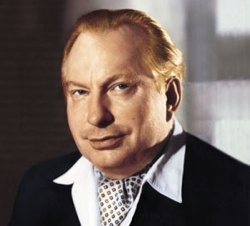 New OT 5 starts what is call New Era Dianetics for Operating Thetans, NED for OTs or NOTS, reputed to be for removing BTs (Body Thetans; evil spirit infestations) that didn’t respond on OT3. Physical universe familiarization, for only a few ‘thou, was a part of old OT V. “A series of drills directed at the Pre-OT’s handling of, and relationship to, MEST. Drills were to be done exterior. 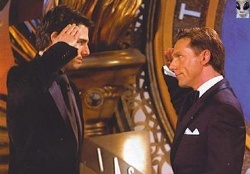 Replaced by New OT V: A series of steps directed at clearing the Pre-OTs body of body thetans with some attention on body thetans which are causing particular conditions (including health conditions, rock slams caused by the evil intentions of body thetans, PTSness caused by suppressive body thetans, etc.) Audited by Class IX auditors at Advanced Organizations and higher. 55 HCOBs.” – Jonathon Barbera. The Clear learns that thetans inhabit everything in the MEST universe. Through auditing, the Clear contacts and identifies as many thetans as possible for further action. OT 6 teaches the Pre-OT, to do NOTs, New Era Dianetics for Operating Thetans, solo. OT VI is very expensive; it is easy to run up a $40,000 bill to get ready for the next step, OT VII. OT ability drills for a few ‘thou more constituted old OT VI. “Drills dealing with exteriorization, emotions, and sensations. The drills were supposed to be done exterior. Replaced by New OT VI: A course which trains the Pre-OT on how to solo audit Solo NOTs. Available at FSO (Flag). 14 HCOBs.” – Jonathon Barbera. The Clear receives further training to audit the body thetans identified during OT V.
On OT VII one does NOTS, New Era Dianetics for Operating Thetans, solo. New OT VII is cheaper than New OT V, as only the six month C/S’ing and the final certainly check are paid for and the main work is left to the mark himself. Old OT VII was projection of intention and polish up for a few more ‘thou…and you thought shouting was all you needed to project your intention. “A series of processes, drills, and training steps directed at intention. Replaced by New OT VII: the purpose of this level is the further ridding of body thetans. Done at FSO (Flag) and at home for two to three years. Product is an OT.” – Jonathon Barbera. The Clear audits all previously identified thetans until they “blow,” or detach from the Clear. As noted in the official description, the OT VII level can take many years to complete. OT VIII is the top of the current Grade Chart – OT IX won’t be released until all the present Orgs are the size of the old Saint Hill Organization in East Grinstead, England, in the ’60s – not until hell freezes over, in other words. The Bridge, or Gradation Chart of Human Awareness and Abilities, tops out at OT 15, in some versions, although information is sketchy for the last few. OT 8 is a big expensive mystery, only delivered on the newspeak-named Scientology cruiseliner “Freewinds” out on the Caribbean. People who have completed this level have said that it is a review of all of the person’s auditing and a verification/ nullification of discoveries the person has made about himself, that it is Route 1 and 2 from the Creation of Human ability book, that it involves looking into your past auditing folders in order to spot any moments where you were being somebody else, e.g. past life identities, which you have discovered on Int Rundown or NED and any body thetans you have unleashed on OT III, OT IV, OT V, OT VI, OT VII and on Lists L10, L11 and L12, then a meter check to see if these identities are right or wrong items. At the end of this new process (New OT VIII), you will have recovered all of your own time track, supposedly. Two slightly different sets of the complete process have been posted to alt.religion.scientology, allegedly from people who have finished the level on the Freewinds. These procedures do indeed involved the 8th dynamic (god), as well as other steps, including material from A History of Man. “This Solo-audited level addresses the primary cause of amnesia on the whole track and lets one see the truth of his own existence. This is the first actual OT level and brings about a resurgence of power and native abilities for the being himself. This may be done at the Flag Ship Service Organization only.” Graduation from this level requires a $100,000 payment. OT IX, (Orders of Magnitude). Prerequisites imply more implant material on this level. The word “orders” may merely suggest levels or may possibly indicate commands for the OT to perform as a Scientologist. – Jonathon Barbera. OT X, (Character). Rumors have suggested that this level produces whole track recall. – Jonathon Barbera. OT XI, (Operating). Probably further rehabilitation of the OT’s abilities. – Jonathon Barbera. OT XII, (Future). Probably is directed at the OT’s handling or prediction of the future. – Jonathon Barbera. OT XIII, Title not given. Probably incomplete or nonexistent. – Jonathon Barbera. OT XIV, Title not given. Probably incomplete or nonexistent. – Jonathon Barbera. OT XV, Title not given. Probably incomplete or nonexistent. If it did exist, this level’s product would be Total Freedom. – Jonathon Barbera. Note: it has been suggested that the old OT levels have been bumped up to fill these slots 9 to 15, so if and when these levels are released to the public (supposedly only after all current orgs are the size of the booming early Saint Hill), the current OT VIIIs may be in for a shock re-doing all their old levels over again, if they are old-timers. 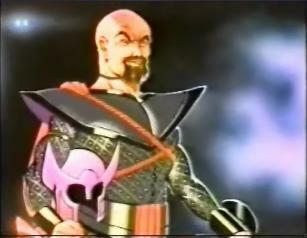 This information has been sourced from Wikipedia and Xenu.net – thanks to all who contributed to those sites. At present transcripts are only available for the first two levels (due to Scientology lawsuits).